This is a great Wide Screen Video Camera. It is perfect to put in your car and record your trips. Provides a Full-HD 1080P Video and super wide 148 degree diagonal viewing angle. The camcorder takes 12 megapixels’ pictures in JPEG format. You can charge this with a cigarette lighter socket and the included wire. This can also be charged with a USB cable, which comes included in the package. It needs a micro SD card that is not included. It has a suction cup that adhered to my window with no problems and stayed there until I took it off. It has a G sensor in case of a car accident. The picture is very clear and a pretty good clear video. 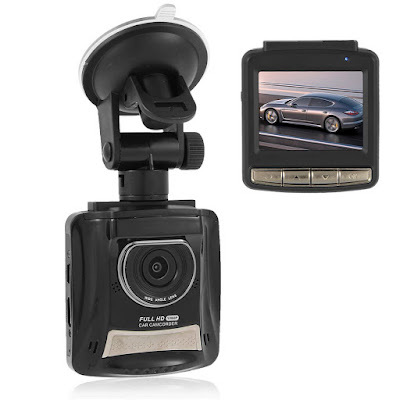 I received this dash cam complimentary in exchange for my unbiased review and opinion. All opinion and words are my own.